I have never set foot in "The Container Store" (or the like) for fear that I would go completely bonkers and sign over my entire paycheck. I don't consider myself ultra-organized. My self-assessment is "B minus" - slightly above average with room for improvement. If only I bought some more "stuff" (containers, etc. ), I could achieve organization nirvana. Right? Probably not. 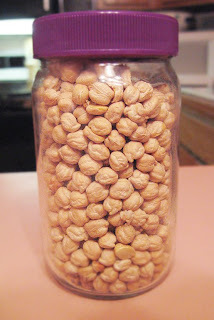 For me, buying more containers isn't the answer - getting rid of stuff and making better use of the containers I already have typically works out fine. 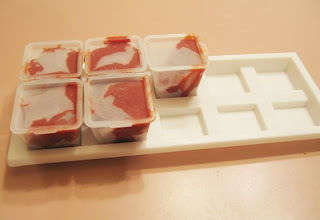 Baby food containers double as mini-containers for holding tomato paste (frozen) or spices. Anybody else have Container Store fever? Any tips for reusing items as containers? 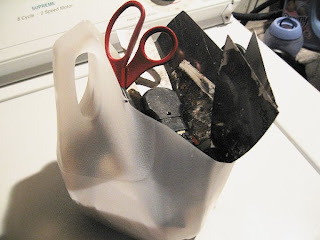 I like the milk jug organizers! I'm just the same way. I won't allow myself to purchase baskets or plastic storage containers unless I have a specific need, ie. 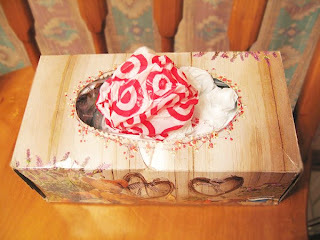 storing yarn or cloth bags or a specific toy. And then I need to know specifically how big I need it to be and where I'm going to be storing said container. It's too easy to have lots of useful storage solutions cluttering up the house, ironically. hospital. Henry got a ton of them during his rather long stay and I find that they're perfect for storing toys on shelves. I am still using the tubs I got from the NICU during Thomas's stay! I don't know if there is a Container Store around here, and it's best I don't find out. One thing I like is the squarish plastic boxes that Olay or Dove facial cloths come in. I have never bought the cloths, and doubt I ever will, but I've found the containers for 10¢ or even free at garage sales. They are the perfect size for holding my granddaughters ponytail holders and barettes in one of our bathroom drawers.